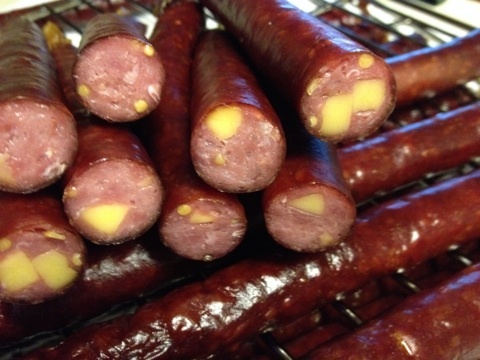 CHEESE STICKS | sausageheavenoutdoors Enjoy making homemade sausage, Tasty way's to BBQ, smoking meats and poultry. See how northern Minnesota was settled and the life early homesteader's lived their lives and more!! Ya it’s time to get that smoker going. I have it going pretty much all year long, but with spring here and summer on the way, we need to have that smoker and grill smoking away. I wanted to make some beef sticks again, so this time I put some high temp cheddar cheese in the mix. They turned out great and they didn’t last long. Between my grandkids and my fishing trip they were gone in no time. 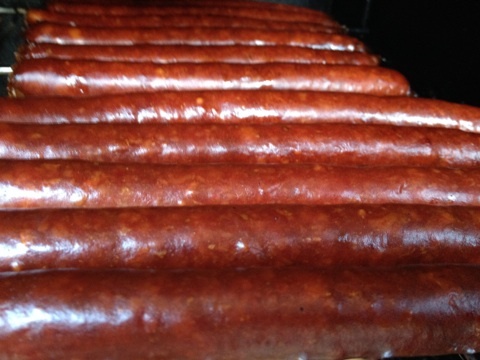 Check out the Homemade Sausage Page for the whole process and all the pics. Here are a couple of the pics.